Drop it to data folder. 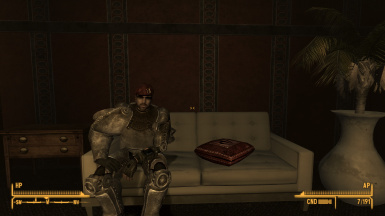 In vanilla version wearing T-51b power armor sits on a sofa (For example : As below link, The sofa in Lucky 38 presidential suite main room) the shoulder pads will rotate and clip inside the body, The same glitch also occurs with the T-45d. 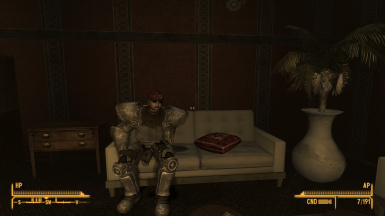 It's simply fix chair_forwardenter.kf file of idleanims data folder, and worked. If there is any additional issue, please let me know, thanks. You can use the file as you want, however tag me in I would be satisfied, thanks.